Find your home in this great Claremont location near Elmwood, and Rockridge - Ideal for entertainment and filled with warm living spaces. You will feel the expansive, peaceful qualities of this property as soon as you come in for a visit. Sunshine fills the formal rooms; box-beams & period lighting fixtures accent 10' ceilings. Beautiful original details enhance an easy floor plan with lots of bonus space: mahogany-paneled walls and railings, luster sconces & oak wainscoting, Art Nouveau windows and intricate inlaid oak floors. A sunroom offers a lovely garden retreat; a bright eat-in kitchen suite has a butler's pantry & au-pair space. 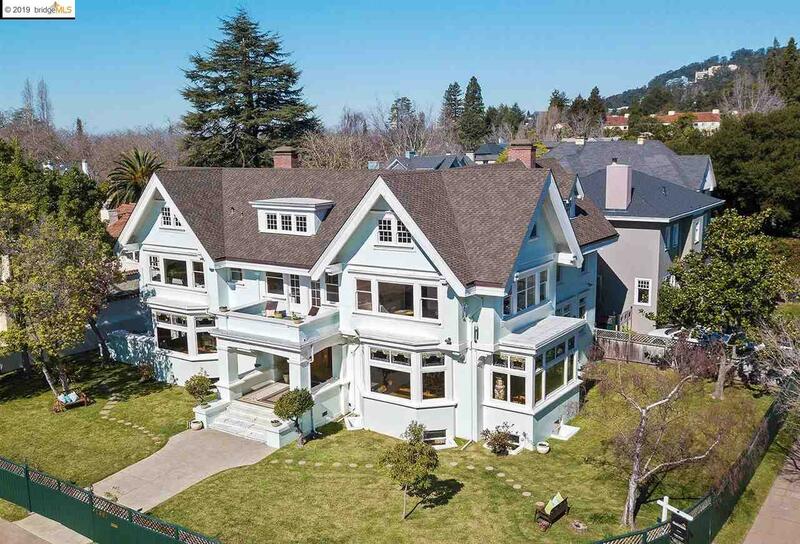 Upstairs, 9' coved ceilings & wide hallways extend to a spacious master suite with bath & large sunroom, a meditation room, fabulous corner bedroom, four more bedrooms & two decks, open to views of the Hills & Claremont Hotel. Large windowed basement & attic with deck, wide lawns & garden. Just blocks from UC Berkeley, bus & BART to San Francisco.